Visitors to the Nahar adventure park will be able to exploit all the park's facilities to their fullest, in guaranteed safety. 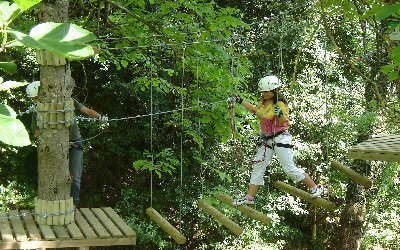 The park staff in fact supplies all climbing equipment, from ropes to gloves and helmets, before allowing visitors to try their hand at one of the treetop itineraries that include Tibetan bridges, tightropes, lianas, moving tree trunks and more. The park is also equipped with a 7-metre high rock face for climbers. The park staff provides a briefing covering the uses of all the equipment and qualified instructors follow everyone along each itinerary. 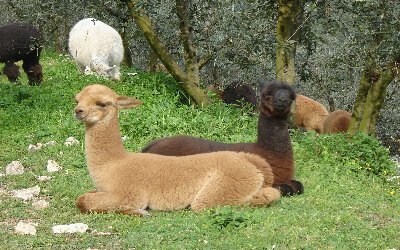 For those in search of alternative activities besides outdoor adventure sports, the PARCO NAHAR is also a chance to visit one of Italyâ€™s largest alpaca farming structures, for a closer look at these wonderfully docile animals. The LA COLLINA restaurant, within the park, offers meals and refreshments and is able to cater for special events such as New Year's Eve parties, school leaving parties, birthdays, baptisms, confirmations or just friendly gatherings. Over 5,000 children of all ages have visited the park's Fattoria Didattica didactic farm, which opened three months ago at LA COLLINA. Here children are able to enjoy a variety of activities, from learning how to bake bread to milk goats, make cheese, weave alpaca wool, gather olives, harvest grapes or discover the secrets of beekeeping. The park is open for reservations every day from 10am to 7pm.